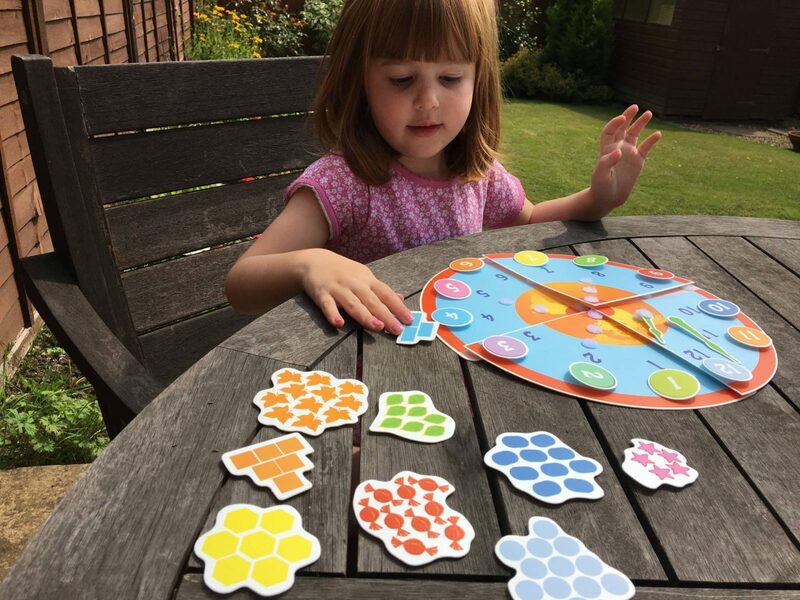 I love it when toys are also educational and help the girls learn and play. When I was contacted by a new company Pic ‘n Mix to review their new games I was excited to see such lovely games that did just this. 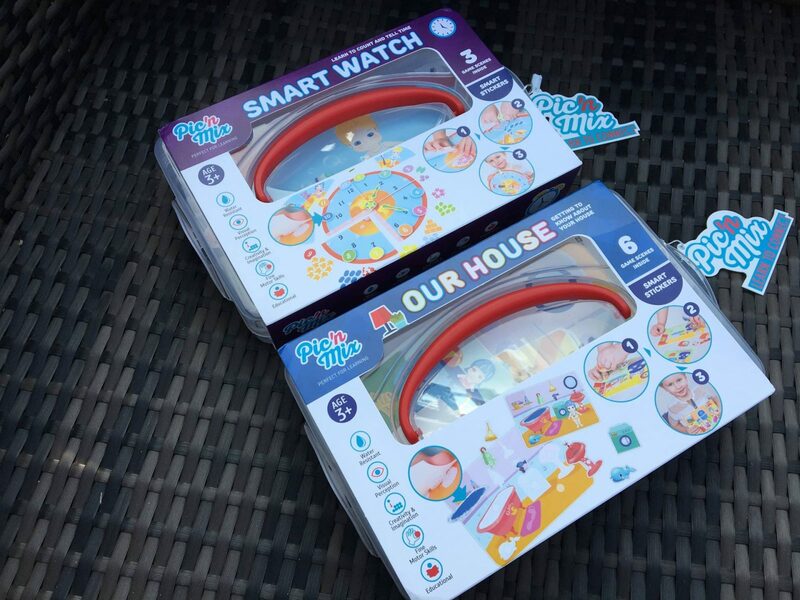 We were sent the Smart Watch and Our House to try out and Alice couldn’t wait to try them out. We took them over to my parents house and while Holly was napping, we sat in the garden to try them out. Both of them came in these great clear sturdy boxes, that are perfect for keeping everything together and also to store them when they are not in use. Our House is lots of playing cards of different rooms in the house and you have to find the missing objects. The objects stick on with velcro and were easy for Alice to do herself. There was also two other playing cards, one for electric items and one for toys. Alice had to find all the things that were electric to go on the card. This was a great way to get Alice thinking about what items needed electricity, I really liked this. It was the same for the toys playing card. 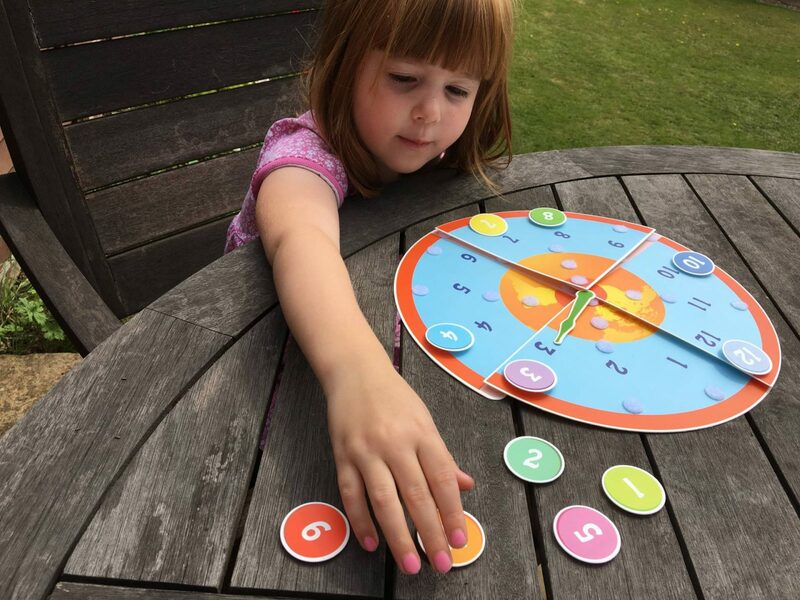 The Smart Watch has lots of different ways to learn. To begin with Alice had to put the clock together, this was easily done with the velcro pads to put it all together. Once we had our clock built, Alice added the hands to tell the time. Next she had to add the numbers onto the clock. 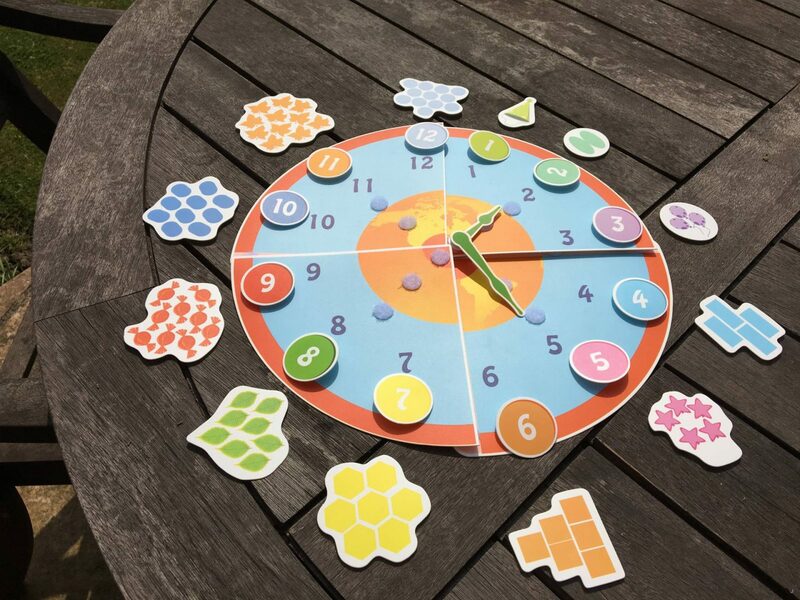 There were numbers on the clock already, which for younger children meant they could match them up. Once we had the numbers in place, there were cards with objects on that corresponded with the numbers. For younger children they can do this by colour. 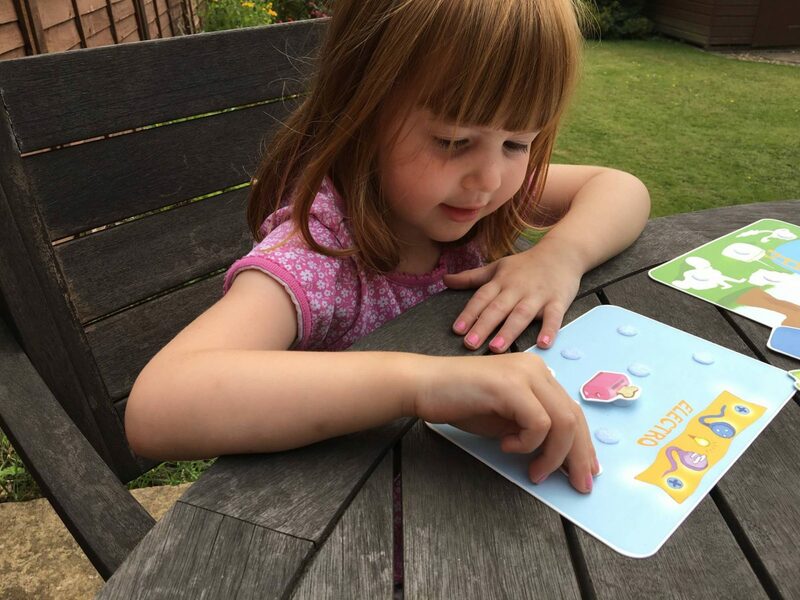 For older children they can count how many objects are on each card and place next to the correct number. 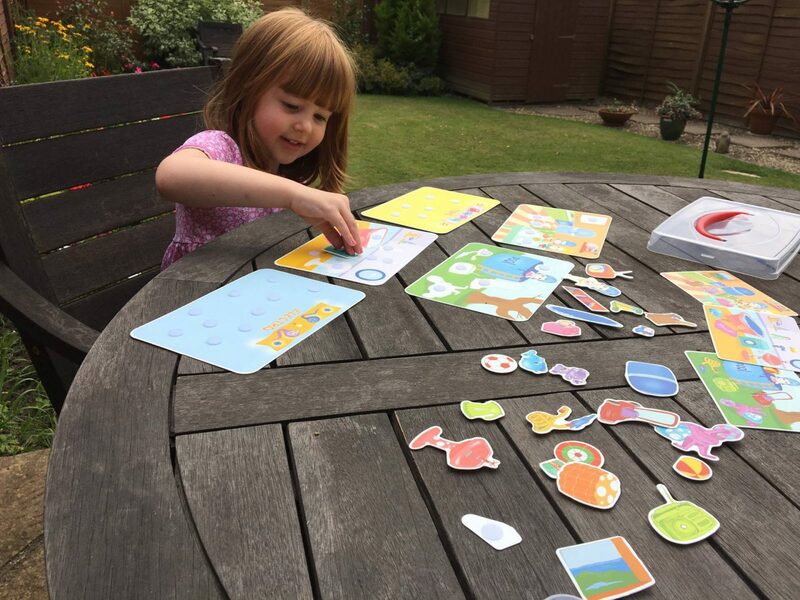 Alice enjoyed completing both of these games and was really happy with herself that she could do it by herself. She only a little help from mummy to explain what she needed to do. All the pieces for both of these games are wipe clean, which is perfect for sticky fingers. 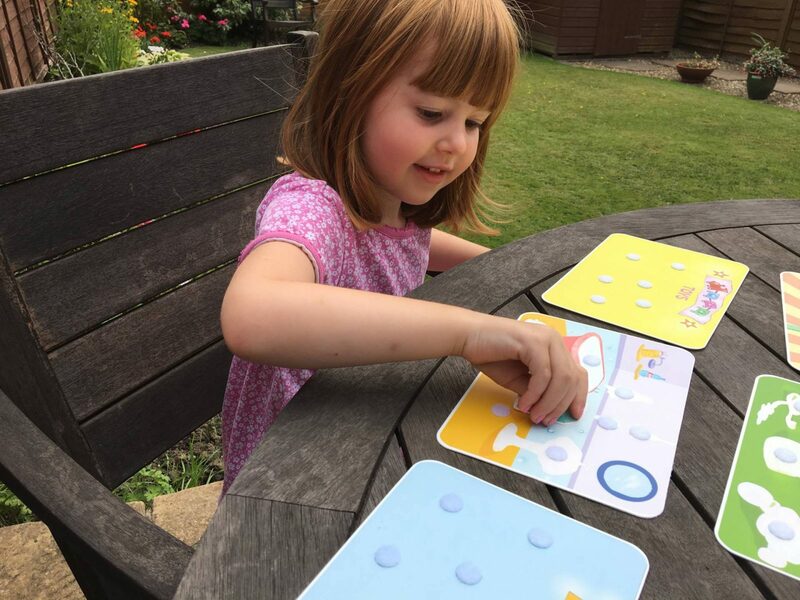 These are suitable for aged 3 – 7 year olds and I can see that there is still so much for Alice to learn with them. The RRP for both games are £9.99 each and are available from Amazon. Disclosure: We were sent both these games in return for an honest review. All views and opinions are my own. 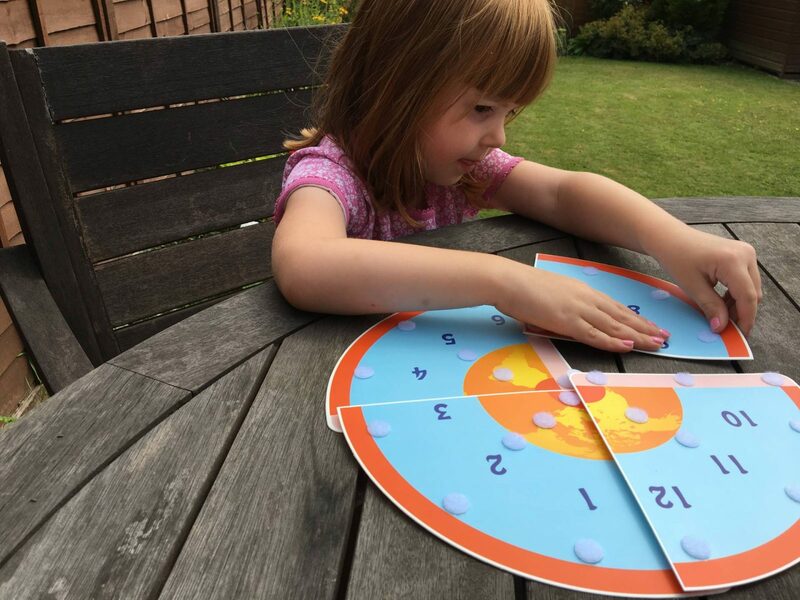 I like the look of this, it would be ideal for both of mine, they both read numbers and enjoy puzzles but Libby’s not where she should be with doing puzzles so something simple and interactive like this would be ideal for her, I’m going to look into getting one.